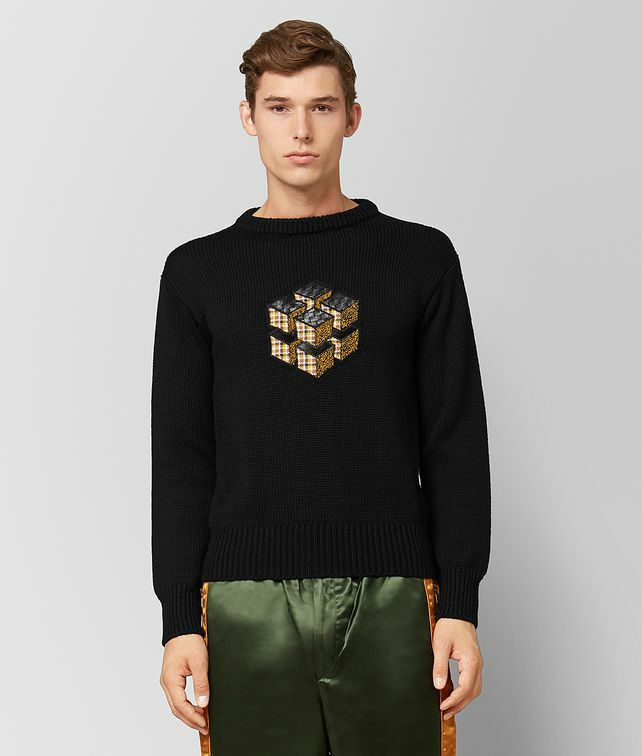 This crewneck pullover features an appliqué designed in the cubic motif inspired by the architecture of New York City and seen throughout the Fall/Winter 18 collection. The knit is made of lightweight but sturdy worsted wool, with a cubic appliqué whose three planes are made of intrecciato nappa, boucle and wool. Finished with a ribbed neckline, hem and cuffs.